Syrian activists from areas, which were affected by the use of chemical weapons, and the German-Iraqi NGO Wadi launched a petition to help victims. On the 21st of August 2013, the Syrian government forces launched a massive chemical weapons attack on the besieged opposition-held areas east and west of Damascus. 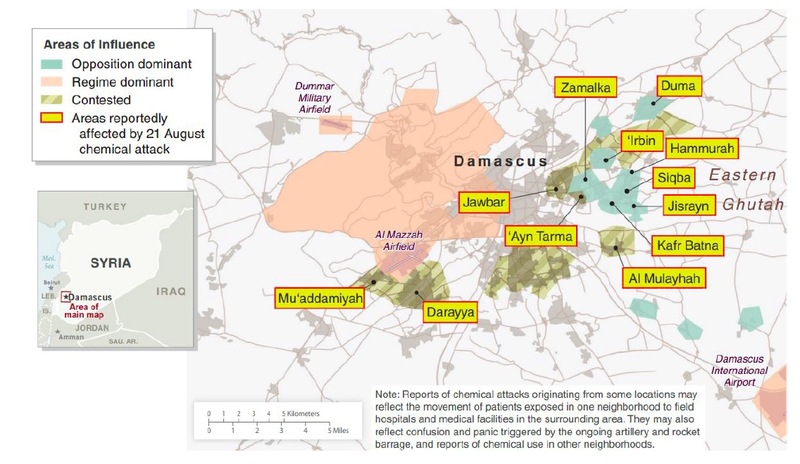 The attacks in which the regime used Sarin Gas, targeted several linked densely populated suburban areas and resulted in over 9800 casualties and over 1300 fatalities. In the aftermath the international community put pressure on Assad’s regime and forced it to join the international treaty prohibiting chemical weapons in October 2013. Despite these diplomatic efforts the Syrian Regime kept on using chemical weapons against civilians in rebel held areas. Human Rights Watch (HRW) investigated these incidents and condemned the Syrian regime for these attacks in a recently published report entitled „Syria: Strong Evidence Government Used Chemicals as a Weapon“. According to the HRW report, the attacks killed 11 people and wounded over 500.